The other day I was helping a new client plan out marketing materials for an upcoming event and asked if he was using QR Codes on all of his materials. I explained that many people are now scanning them and then using them to do research or deal with retention issues associated with information overload. Direct link to the landing page for the event or product promoted at that event so the visitor doesn’t have to hunt down what they were interested in. 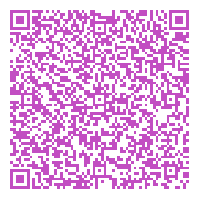 Oh, and if the back of your business card isn’t already in use, put a QR Code there. It shows you respect their time by having them avoid manually typing the data into their contact database.